All overhead wires now installed between Preston and Blackpool North. 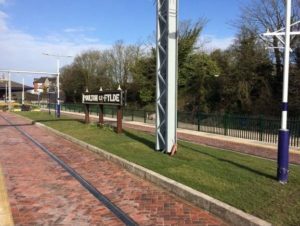 Monday 16th April 2018 will see the line between Preston and Blackpool North reopen. 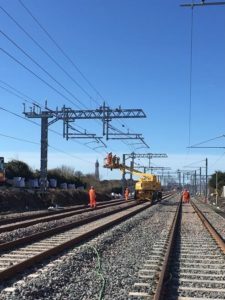 This week the project hit a huge milestone as all of the overhead electric wires have been installed between Preston and Blackpool North. That’s over 200,000 metres of electric wiring and brings us one step nearer to running greener, quieter and more reliable trains to Blackpool North. 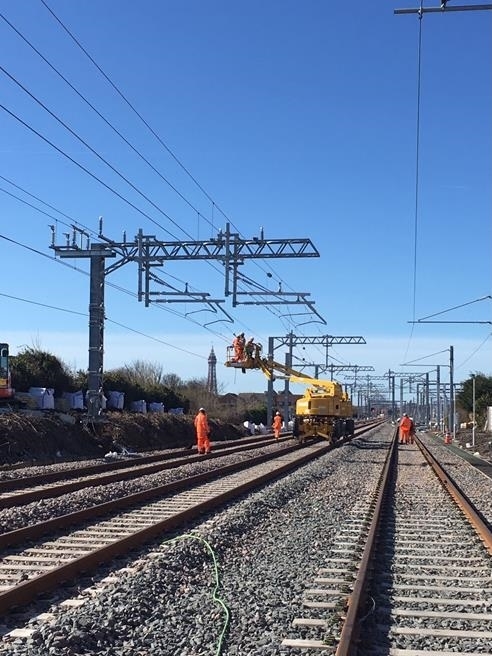 With weekend closures continuing between Preston and Manchester via Bolton, work is underway to upgrade and electrify this route that will make it possible to run electric trains all the way from Manchester through to Blackpool North. over the weekend. During this time, there was a temporary closure to the car park. 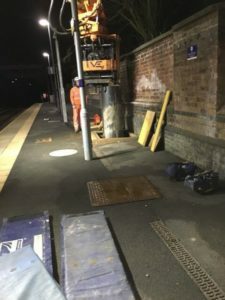 Platform gauging work is under way to make way for longer and faster trains will take place between now and July on every station on the Manchester to Preston route. 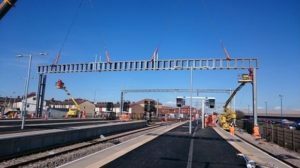 Between 13 April and 15 May, work will take place at Horwich Parkway and Blackrod before moving on to Salford Crescent between 12 May to 30 June. This week, Network Rail completed nine complex foundations (to support the overhead line equipment) where poor ground conditions are present. They are now in double figures in terms of outstanding foundations. So far, 1662 foundations have been fitted with 93 left to go. Cable protection is well underway with a further 460m of troughs being laid.